History might, as historian Arnold Toynbee allegedly said, be one damned thing after another, but historians and archaeologists spend a lot of their time trying to put those things into the right order. Assistance from science over the decades has been transformative, but not without difficulty: it took years for some archaeologists to be won over by radiocarbon dating. Now, historians and archaeologists are grappling with a new scientific technique. As we discuss in a News Feature, the genetic study of ancient DNA is exploding, and the findings are posing several problems. One is a need for geneticists, archaeologists, historians and anthropologists to understand exactly how their skills and insights complement each other’s. It is clear, for example, that although genetics has useful things to say about the sweep of population history, the more conventional disciplines provide essential context. Another problem is fear that simplistic takes on ancient DNA will mirror damaging uses of the idea of ‘culture history’. Culture history views the discovery of old artefacts as a proxy for the movement of the people who made them. According to this idea, a particular floral design on a pot that spread from south to north over a few centuries, for example, would indicate that the specific group of people that painted it was on the move — and carried the design with it. These fears are not just about scholarship. Simplistic readings of culture history have encouraged people with political agendas to falsely draw clear boundaries between the behaviour and the claimed territory of some ancient (and not-so-ancient) populations — and to infer similarities with their claimed modern equivalents. For example, they often refer to the work of early-twentieth-century German archaeologist Gustaf Kossinna, who used culture history to trace the supposed origins of modern Germany to the spread of Corded Ware, a type of ceramic found throughout central Europe in the Bronze Age. Kossinna’s ideas, although influential, have proved to be scientifically simplistic. They became notorious following their use by the Nazi party to legitimize its territorial goals and beliefs about the racial superiority of German-speaking peoples. 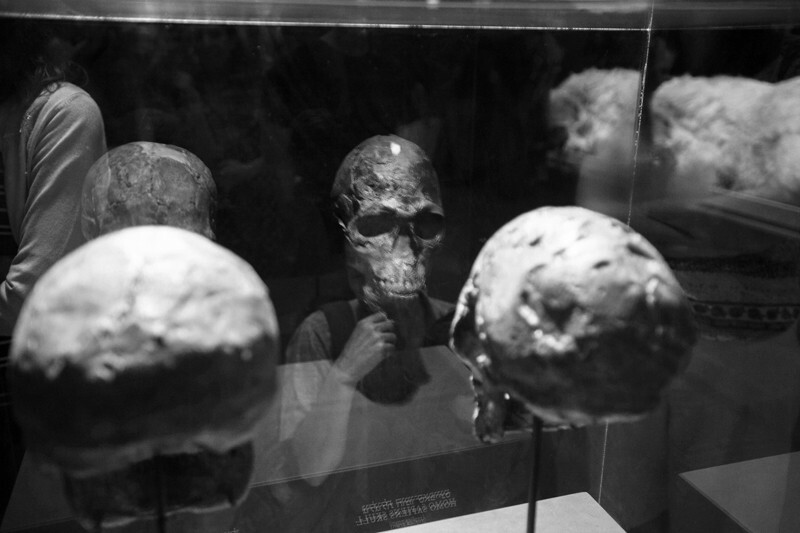 Scholars are anxious because extremists are scrutinizing the results of ancient-DNA studies and trying to use them for similar misleading ends. Ancient DNA, for example, offers evidence of large migrations that coincide with cultural changes in the archaeological record, including the emergence of Corded Ware. Some archaeologists have expressed fears that the extremists will wrongly present such conclusions as backing for Kossinna’s theories. Another problem for archaeologists and historians relates to the potential for abuse of the results of ancient-DNA studies looking at more recent times, such as the Migration Period around the fall of the Roman Empire or the era covered by the Viking sagas. They worry that DNA studies of groups described as Franks or Anglo-Saxons or Vikings will reify them by attaching misleading genetic profiles to categories that were devised by historians, and are not representative of how individuals viewed themselves at the time. Already, some people have picked up on such studies as a way to try to trace their roots to such supposed populations, to justify claims they have a right to some territory or other (L.-J. Richardson and T. Booth Papers Inst. Archaeol. 27, 25; 2017). On the contrary, genetic and historical evidence suggests that there was widespread mixing during these periods, across populations and geography. Indeed, presented correctly alongside insights from other disciplines, ancient-DNA research can be a powerful weapon against bigotry. Studies documenting migrations can drive home the point that present-day peoples in one area often share few genetic links with ancient peoples who lived in the same place. And when they do focus on relatively recent times, DNA projects can highlight the diversity of past peoples who otherwise might be seen as homogenous. A 2016 study of Anglo-Saxon burials, for example, found a mix of ancestry, with some people related to earlier inhabitants of England and others tracing their ancestry across the Channel (S. Schiffels et al. Nature Commun. 7, 10408; 2016). Two recommendations can be made for the public behaviour of scientists and other scholars. The first: give ample credit to the insights of complementary disciplines. The second: refute statements that misconstrue what your insights actually reveal and that can be used politically to justify disrespect, or worse, to groups of people.